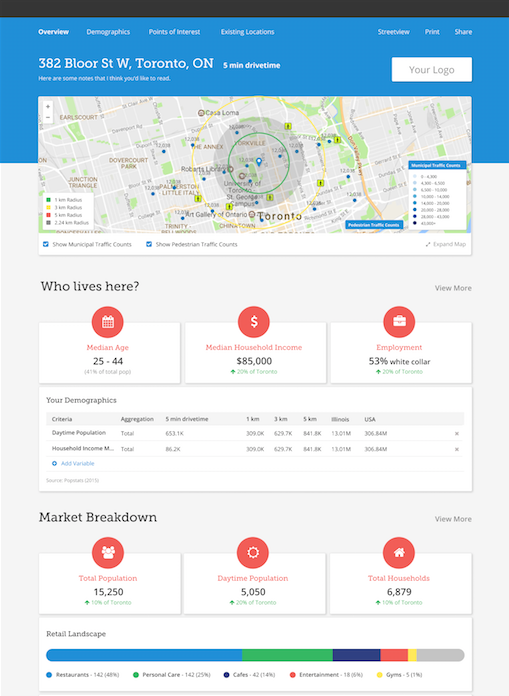 Our new single site reports make it easier to understand and share what's going in a trade area. With improved data visualizations, more flexibility in the presentation of material, and beautiful printed reports, you can take your research up a notch without removing any of the key data components that you and your audience love. 👉 Note: These report improvements will replace the look and feel of all future reports, and any previously built reports will be changed to reflect the new aesthetic. The Retail Landscape gives you an instant overview on the major retail influences of a trade area. How prevalent are entertainment centers? Is the primary retail type restaurants, or retail? 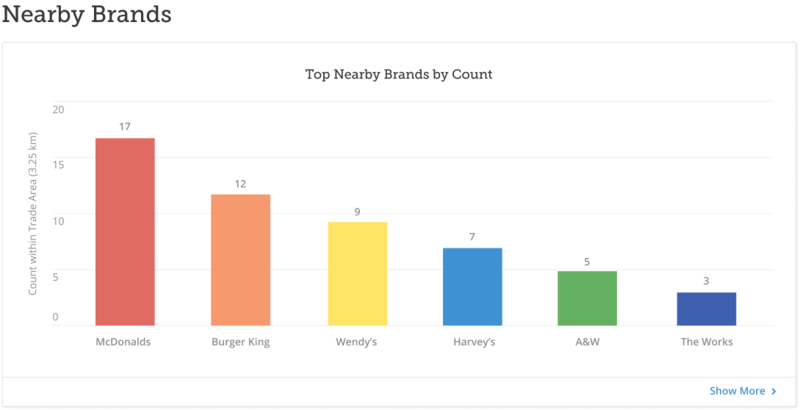 Rely on intuitive chart to quickly decipher which brands are most prevalent, instead of showing tables with counts. Find out how many cars or pedestrians pass by a location without having to click on each traffic icon. 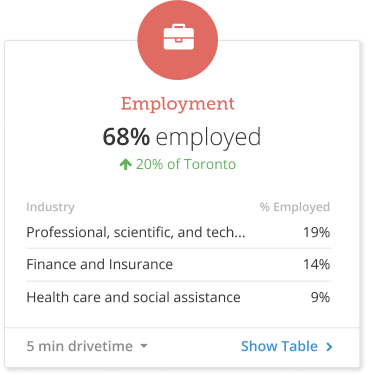 Whether your report recipient wants to see your research in a PDF format or as an online report, reports can easily be printed as a PDF. Plus, you can customize how much data to include and adjust the size of your maps prior to exporting. We'll be rolling out the new report improvements to all accounts over the coming weeks - hang tight! If you'd like a closer estimate as to when you'll be upgraded, reach out to your Customer Success Manager for a timeline.